A brilliant new theory of how and why some nations recover from trauma and others don’t, by the author of the landmark bestsellers Guns, Germs, and Steel and Collapse. 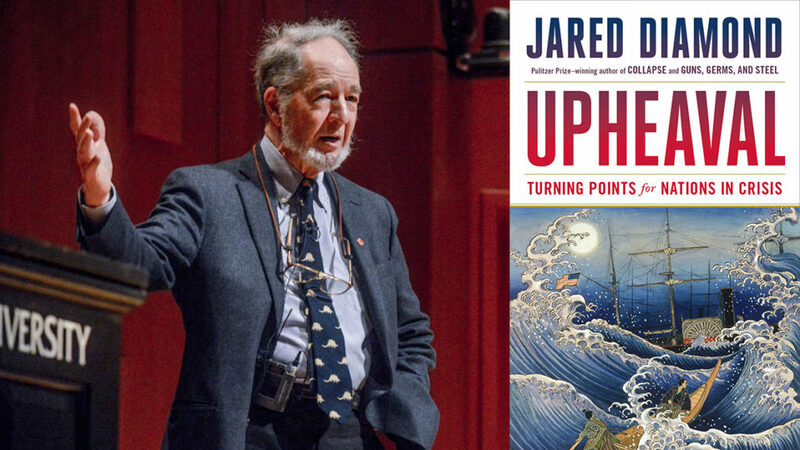 In his earlier bestsellers Guns, Germs, and Steel and Collapse, Jared Diamond transformed our understanding of what makes civilizations rise and fall. Now, in the final book in this monumental trilogy, he reveals how successful nations recover from crisis through selective change—a coping mechanism more commonly associated with personal trauma. In a dazzling comparative study, Diamond shows us how seven countries have survived defining upheavals in the recent past—from US Commodore Perry’s arrival in Japan to the Soviet invasion of Finland to Pinochet’s regime in Chile—through a process of painful self-appraisal and adaptation, and he identifies patterns in the way that these distinct nations recovered from calamity. Looking ahead to the future, he investigates whether the United States, and the world, are squandering their natural advantages, on a path towards political conflict and decline. Or can we still learn from the lessons of the past? Vouchers for the featured book, Upheaval: Turning Points for Nations in Crisis ($35), can be purchased in advance and redeemed on the event night for signed copy/ies.